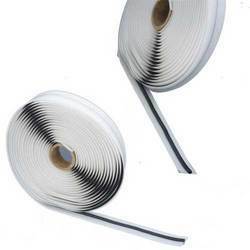 We are a leading Exporter of door foil adhesive tapes from Mumbai, India. We offer Door Foil Adhesive Tapes. This Tape is use in Doors for Automobile Industries and it effectively prevents passage of moisture, water and dust. It has got excellent dimension stability and helps in reducing vibration. Further, offered tapes are also tested on various quality parameters to provide maximum satisfaction to our clients. Moreover, we offer these tapes at nominal rates.